Following the directive by the Federal Executive Council (FEC) to the Minister of State for Petroleum Resources, Dr. Ibe Kachikwu, to end the fuel shortages by the weekend, the minister yesterday rolled out short-term measures, which he said would end the fuel scarcity. 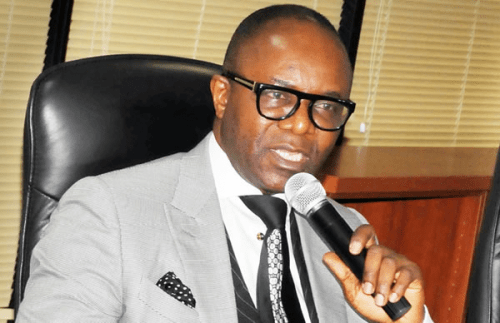 Kachikwu, who briefed journalists in Abuja on the measures, explained that the fuel shortages were occasioned by a gap in the volume of products available in the country. The gap, he noted, was caused by the time lag in the delivery of products and the reluctance by oil marketers to import petrol. Kachikwu added that the shortfall was caused by the rising price of crude oil, which he said had forced oil markers to defer imports. He said within the short-term, the NNPC would increase the distribution of petrol from its strategic reserves to cushion the gap, while the DPR and Petroleum Products Pricing and Regulatory Agency (PPPRA) would increase their monitoring of the market to penalise instances of hoarding by marketers. He also stated that within the coming weeks, the Kaduna and Port Harcourt refineries would respectively deliver up to 750,000 and 2.1 million litres per day to support efforts to bridge the shortfall in supply. NNPC, he added, would have about four of its petrol cargoes come in within the next few days, and as much as 30 cargoes before January ends. “What caused some of this was some level of gaps in terms of volume. That gap was because the NNPC is the only one importing most of the products currently. “Most of the people we expected in the private sector to import products were not able to bring in products, some of them have pushed back the days they were supposed to bring in products to January and so you have NNPC rapidly trying to fill in the product requirements in terms of 100 percent capacity basis. “Luckily, there is enough storage which they are releasing right now. They are also taking emergency steps to try and fill whatever gaps there are in December. Post-January, there won’t be much of an issue because most of the deliveries expected should be coming in,” said Kachikwu. On the comprehensive restoration work aimed at bringing the four refineries operated by NNPC in Kaduna, Warri and Port Harcourt back to their nameplate production capacities, Kachikwu said repairs would eventually start in January 2018. He explained that the technical committee in charge of restoring the refineries was almost done with its work of benchmarking costs and streamlining bidding firms and would submit its report for presidential approval before the year ends. He noted that after that, it is expected that the repairs on the refineries would commence in January. He did not state how long the repairs would last but noted that so far, the committee had been able to trim down the list of bids for the job from over 40 to about 11 serious and committed firms. “The chief operating officer who heads the technical team that is overseeing this has worked very hard in the last six months, doing the benchmark analyses and negotiations with very high responses that we’ve received from many parties which is a very encouraging thing. “I think it has gone down from over 40 applicants to 24, to about 11, and I have instructed him to complete that process before the end of the year so that we can get approval from the president and go forward to award those, so that by early next year, actual work can start,” said Kachikwu, in response to a question on the status of the process. He added: “A lot of benchmark analysis is going on in terms of comparing costs and making sure we are not going to pay more, identifying the right partners and making sure that they have money in the bank once we have agreed for this to proceed. The promises we have made in terms of the refineries, we are putting a lot of efforts on them. The minister’s briefing came just as the Petroleum and Natural Gas Senior Staff Association of Nigeria (PENGASSAN) issued a seven-day ultimatum to the government, at the end of which it will seek to disrupt fuel supply and distribution. The ultimatum, which will end on Monday, December 18, will culminate in the shutting down of all oil and gas installations, according to a statement issued by PENGASSAN’s media officer, Mr. Babatunde Oke yesterday. PENGASSAN, in its ultimatum to the federal government, said its stance stemmed from “unfair labour practices” and the “seemly untenable posture of some indigenous oil and gas companies and marginal field operators by relevant agencies of government” as reasons for its proposed action. The apparent failure of relevant authorities of government to call to order these recalcitrant organisations was another reason given by PENGASSAN. “The association recalls her communiqué issued at the end of the National Executive Council (NEC) meeting of October 13, 2017 held in Uyo, Akwa Ibom State. “One of the resolutions thereof was the condemnation of indigenous oil and gas companies and marginal field operators concerning their anti-labour posture and practices, including the termination of the employment of any worker who has indicated a willingness to belong to the union,” the statement said. PENGASSAN cited the case of Neconde Energy Ltd (of Nestoil Group of companies), which it described as particularly worrisome, as it relates to the issue of dignity in labour and infringement on workers’ rights to freedom of association, which it claimed had led to the mass sack of workers by the organisation. “This company has not only conducted itself as being above the provisions of the extant laws and regulations guiding the operations of oil and gas companies in Nigeria, but has also severally boasted that no government agency can call it to order. “It was, therefore, no surprise that Neconde has defied multiple interventions from the Federal Ministry of Labour and Employment, the Department of Petroleum Resources (DPR) and the top management of Nigeria National Petroleum Corporation (NNPC) and Nigeria Petroleum Development Company (NPDC) for the company to toe the path of law and order and comply with Nigerian labour laws. 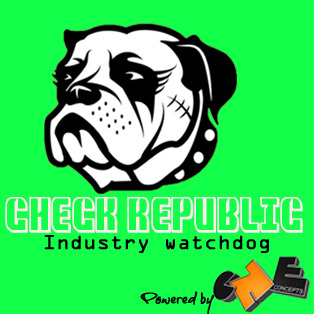 “The company is apparently bolstered by the fact that it has continued, without any sanctions from government regulatory authorities, to flagrantly breach the provisions of the Personal Income Tax Amendment Act (PITA) and Pension Reform Act (PRA) by not remitting deducted income taxes and pension contributions to the Lagos and Delta States’ boards of internal revenue and authorised Pension Fund Administrators (PFAs) respectively. “The owners and management of Neconde have therefore made themselves to believe that they are above the laws and government of the Federal Republic of Nigeria,” PENGASSAN said of Neconde. The union said having explored all other options to get the attention of the government on these pivotal issues, it was left with no option other than to issue a shutdown ultimatum. “PENGASSAN gives the federal government and its relevant agencies seven-day notice to embark on a nationwide strike effective December 18, 2017 if it fails to direct the management of Neconde and other companies to recall our sacked members as the only option to address this injustice and lawlessness,” the statement said. The union appealed to all Nigerians to show understanding and to use this window to stockpile adequate petrol and other petroleum products that will last them during the festive period, as this strike will be indefinite, it warned. Reacting to the threat of a strike in the industry, oil prices climbed more than 1 percent yesterday, as traders covered shorts after sharp losses the previous day brought on by an unexpectedly large rise in U.S. stocks of refined fuels. “Short covering in the market, together with the threat of a strike by Nigeria’s key oil union, has provided some support to oil prices in today’s session,” said Abhishek Kumar, a senior energy analyst at Interfax Energy’s Global Gas Analytics in London. According to Reuters, Brent futures were up 85 cents, or 1.4 percent, at $62.07 a barrel by 11:42 a.m. EST (1642 GMT), while U.S. West Texas Intermediate (WTI) crude was up 63 cents, or 1.1 percent, at $56.59. The previous day, Brent settled down 2.6 percent and WTI down 2.9 percent after an unexpected rise in U.S. fuel stocks. Data from the Energy Information Administration (EIA) on Wednesday showed that U.S. crude oil inventories fell by 5.6 million barrels in the week to December 1, to 448.1 million barrels, putting stocks below seasonal levels in 2015 and 2016. But gasoline stocks rose by 6.8 million barrels, well above the 1.7 million-barrel gain analysts had expected, and distillate stocks, which include diesel and heating oil, rose 1.7 million barrels. PVM Oil Associates also said in a note that “the weekly data was not as bad as it seems at first sight”. “Current (stock) levels are nearly 7 percent below last year and the surplus to the five-year average is only 3.9 percent,” it said. But troublingly for oil bulls, U.S. oil production rose by 25,000 barrels per day (bpd) to 9.71 million bpd in the week to December 1, the highest since monthly figures showing the U.S. produced more than 10 million bpd in the early 1970s. Soaring U.S. output threatens to undermine efforts led by the Organisation of the Petroleum Exporting Countries (OPEC) and Russia to bring production and demand into balance following years of oversupply. Sukrit Vijayakar, managing director of energy consultancy Trifecta, said there were “darker shadows over the pace of rebalancing, if … any is taking place”.